The Theresa May government is perfecting the art of ruling through impression management. It makes promises and headlines about empowering workers and reducing inequalities but the actual practices and proposals don’t come anywhere near the rhetoric. The most recent example is the government’s green paper on corporate governance which promises to shackle runaway executive pay. Wealth is created by the cooperative efforts of employees and other stakeholders, but a disproportionate share is being pocketed by an economic elite. Evidence of this is not hard to find. A TUC investigation reported that despite the banking crash and recessions the median total pay (excluding pensions) of top FTSE 100 directors increased by 47 per cent between 2010 and 2015, to £3.4 million. By contrast, average wages for workers rose just seven per cent over the same period and are still way down in real terms on the pre-crash level. In 2010, the average FTSE 100 boss earned 89 times the average full-time salary. By 2015, this had risen to 123 times. The average FTSE 100 top director earned a year’s worth of the minimum wage in a day. At the other end of the pay spectrum, workers are being squeezed. In 1999 only one-in-fifty employees were being paid the minimum wage, but in 2015 one-in-twenty employees (or approximately 1.5 million individuals) were on the minimum wage and more than one-in-five employees (about 6.3 million individuals) were paid less than the voluntary Living Wage. The payday loan sharks are flourishing. With personal debt at about £1.5 trillion, and expected to rise to about £2.5 trillion 2020, ordinary person’s capacity to stimulate the economy has been eroded. The government’s master plan for shackling executive pay is to give an annual binding vote to shareholders. This presupposes that shareholders are the owners of companies, provide most of the risk capital, are inclined to check fat-cattery, are interested in the long-term well-being of a company, and are willing to hold management to account. All of these assumptions are highly problematic. As long ago as 1948 judges in the case of Short v. Treasury Commissioners said that ‘shareholders are not, in the eyes of the law, part owners of the undertaking. The undertaking is something different from the totality of the shareholding’. Yet the government assumes that companies are the playthings of shareholders. Shareholders do not have a long-term interest in major companies. In 2007, the average shareholding duration was about 7½ months in a non-financial business and around three months at banks. By 2015, it shrank to about one month. Shareholders are effectively traders and speculators and have no qualms about giving mega rewards to executives as long as they receive quick and bigger returns whether generated by tax dodging, low wages or rip-off practices. After its investigation of the 2007-2008 banking crash, the UK Banking Standards Commission concluded that in ‘the run-up to the financial crisis, shareholders failed to control risk-taking in banks, and indeed were criticising some for excessive conservatism’. Despite all the headlines about fat-cattery, since 2013, 917 of the FTSE 350’s annual remuneration reports have been approved and only four rejected. About a quarter of shareholders in FTSE 100 companies don’t bother to vote. Where is the evidence that empowerment of shareholders will end fat-cattery? Shareholders do not provide the bulk of risk capital at most major companies. The Banking Standards Commission reported that ‘shareholders contribute only a tiny sliver of a bank’s balance sheet, meaning it would be a mistake to expect greater empowerment and engagement of shareholders to lead to the exercise of profound and positive influence on the governance of banks’. The balance sheets of Barclays, HSBC, Lloyds, RBS, Santander and Standard Chartered show that shareholders provide between six and eight per cent of total capital. So 92 to 94 per cent of capital is provided by savers and others, and by taxpayer guarantees. Of course, no wealth could be generated without the brain and brawn of employees. But the government has no proposals for empowering long-term stakeholders. Its green paper says that somehow non-executive directors and remuneration committees, stuffed with chums of directors, will protect the interests of employees. All major companies have non-execs. Banks and BHS had them. Sports Direct and Deliveroo have them. None have sought to shackle fat-cattery or secure a more equitable distribution of corporate wealth. The government’s proposals would also apply to large private companies with the hope that they would somehow prevent another BHS type scandal. Not a chance. At BHS, shares were held by the family and friends of Sir Philip Green and other directors. None sought to shackle executives from extracting cash. The government’s green paper does not really understand how executives extract cash from companies. At BHS, cash was extracted not only through salaries and bonuses but also through dividends and a variety of intragroup transactions. Shareholders and directors cared little about pension scheme deficits. 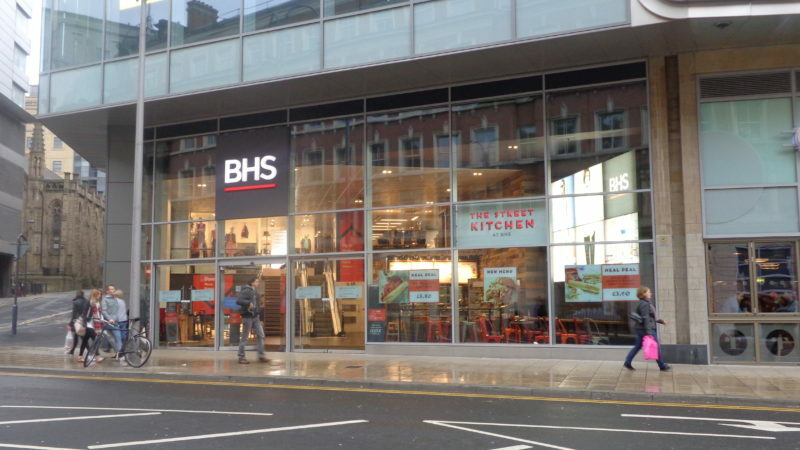 The government’s narrow conception of executive remuneration fails to understand corporate practices and empowerment of shareholders will not prevent future BHS type scandals. The effective way of checking fat-cattery is to change the composition of company boards and give meaningful representation to workers and other long-term stakeholders. Employees have a good idea what the boss is worth and should have a binding vote. Yet rather than democratising corporations, the government has sought to appease corporate elites through ineffective reforms. Excellent article backed by solid and yet shocking evidence. Corporate power shows that British democracy is a myth and worker abuse a norm. Equality in society is a faraway dream when we have public leaders like these who con us so brazenly.